Thomas Grech often says that Queens is no longer a borough people travel through, but the place people travel to. Under his organization’s guidance, that phrase rings true. 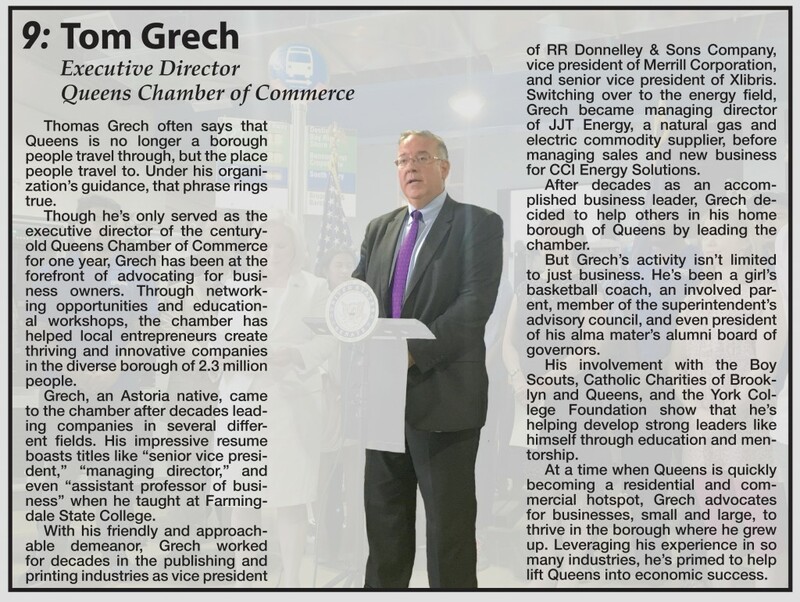 Though he’s only served as the executive director of the century-old Queens Chamber of Commerce for one year, Grech has been at the forefront of advocating for business owners. Through networking opportunities and educational workshops, the chamber has helped local entrepreneurs create thriving and innovative companies in the diverse borough of 2.3 million people. Grech, an Astoria native, came to the chamber after decades leading companies in several different fields. His impressive resume boasts titles like “senior vice president,” “managing director,” and even “assistant professor of business” when he taught at Farmingdale State College. 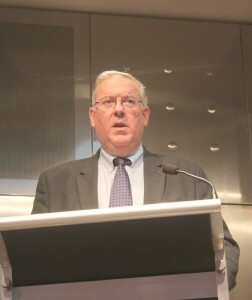 With his friendly and approachable demeanor, Grech worked for decades in the publishing and printing industries as vice president of RR Donnelley & Sons Company, vice president of Merrill Corporation, and senior vice president of Xlibris. Switching over to the energy field, Grech became managing director of JJT Energy, a natural gas and electric commodity supplier, before managing sales and new business for CCI Energy Solutions. After decades as an accomplished business leader, Grech decided to help others in his home borough of Queens by leading the chamber. But Grech’s activity isn’t limited to just business. He’s been a girl’s basketball coach, an involved parent, member of the superintendent’s advisory council, and even president of his alma mater’s alumni board of governors. His involvement with the Boy Scouts, Catholic Charities of Brooklyn and Queens, and the York College Foundation show that he’s helping develop strong leaders like himself through education and mentorship. At a time when Queens is quickly becoming a residential and commercial hotspot, Grech advocates for businesses, small and large, to thrive in the borough where he grew up. Leveraging his experience in so many industries, he’s primed to help lift Queens into economic success.